CNNGo, the travel channel for CNN, recently featured Kaohsiung, my city of residence for this period of time in my life. For the second-biggest city in Taiwan, it’s quite relaxed and has that “small town” feel of a laid-back community more interested in simple work, fast friendship, and loving life. 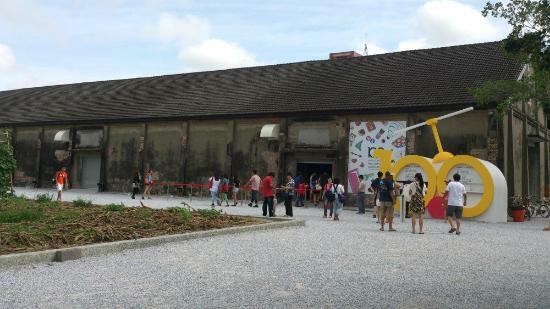 A former warehouse, Pier 2 is packed with exhibitions and outdoor art.Once a cluster of warehouses, Pier-2 Art Center has helped boost Kaohsiung’s cultural credibility by providing a revamped space for artists and musicians to hold concerts and exhibitions. Every year Pier-2 hosts events as part of the Kaohsiung Design Festival and Rainbow Bay music festival. The two-day Rainbow Bay Festival is one of the biggest music events in Taiwan.